Excellent service, arrived next day and fitted. Car not used through the very cold weather we have just had, but still started first time. The battery is as discribed, and Tayna Batteries delivered it as promised so full marks, it came fully charged. Reason for 4 is that of course the battery is new so i have not had any real use out of it, but time will tell. If it turns out to be an excellent product i will obviously go back to tayna for more batteries as i have 6 similar batteries to look after. A well made product, fully charged and good to go out of the packaging. My tractor now roars in to life. Super battery from a super seller and fast delivery, excellent. Had what I wanted, quick delivery - tractor now starts!!! I needed a replacement battery for my classic Saab which usually resides in the garage on a float charger. My recent Leisure Battery purchase experience from Tayna meant I didn't hesitate and ordered again from Tayna, result same lightening delivery and great price. 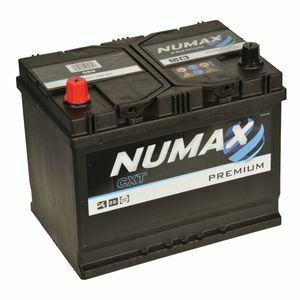 Time will tell how good the Numax product is. It has a good warranty and if it matches that for the price paid I'll be more than happy. Well, it was the right size, the right colour, and was full to the top with best quality volts. Delivery was quick too, so, next time I need a battery I shall know where to come. Arrived when stated, very well packed and great price! ABSOLUTELY FIRST CLASS SERVICE GOOD PRICE AND DELIVERY BY LUNCHTIME THE FOLLOWING DAY. WOULD DEFINATELY USE AGAIN.